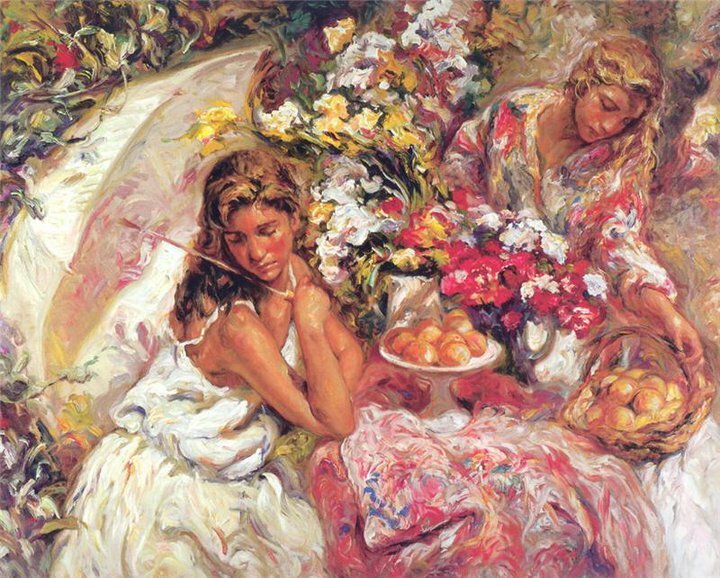 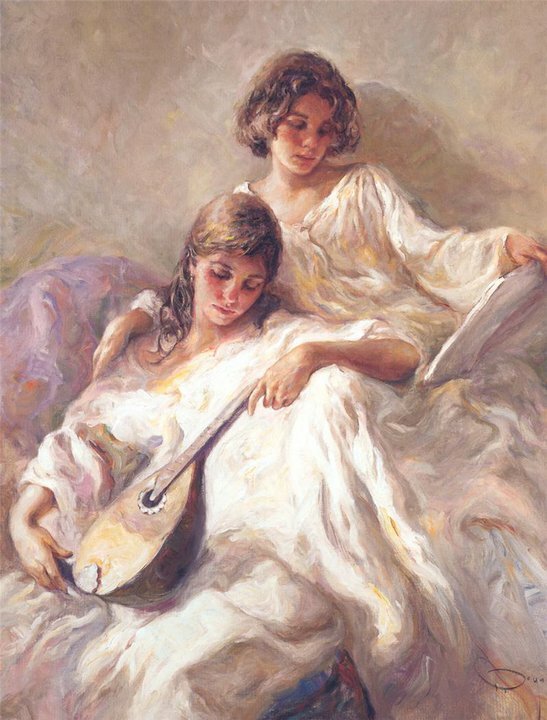 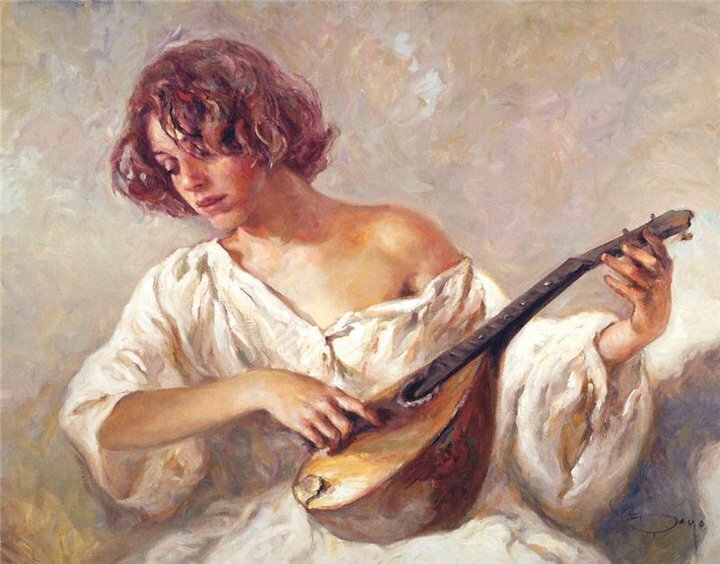 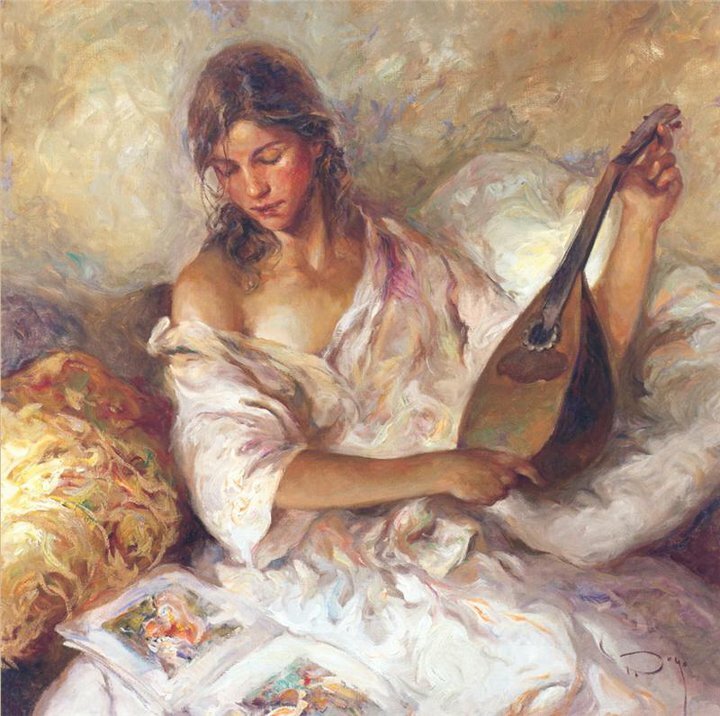 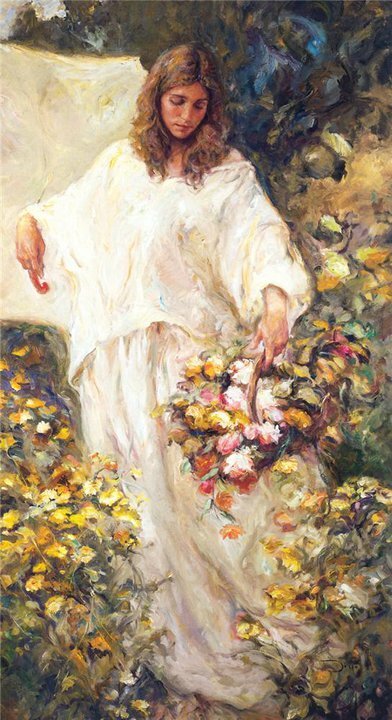 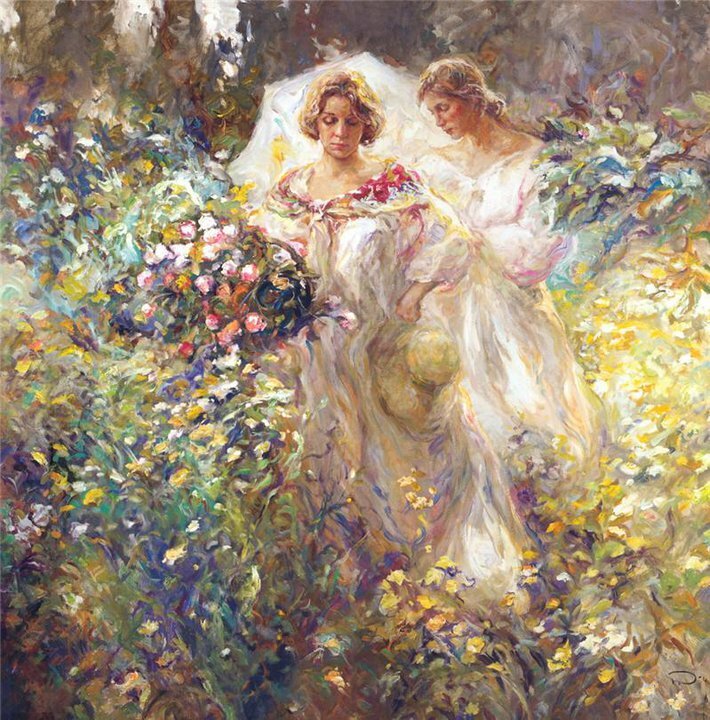 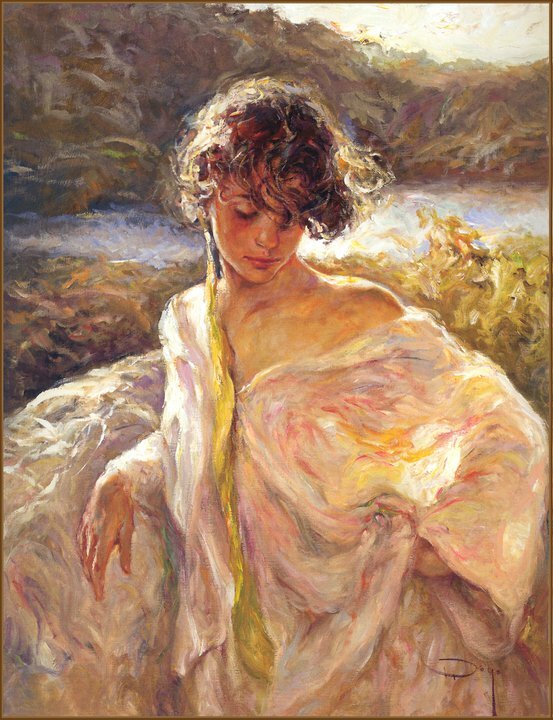 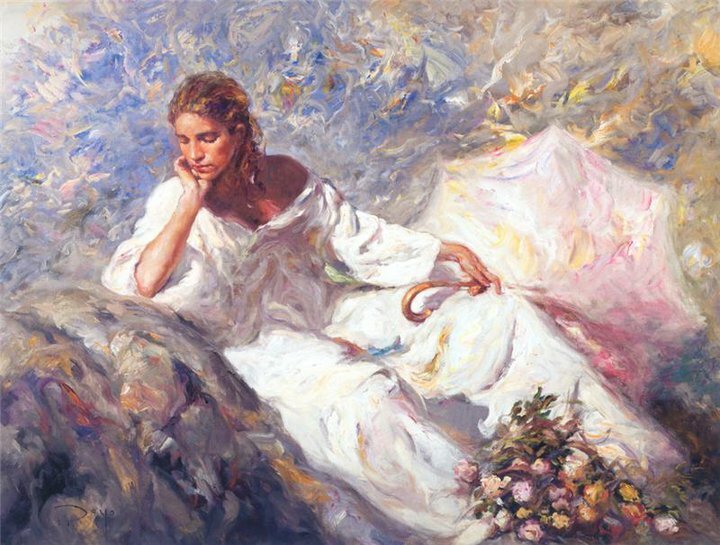 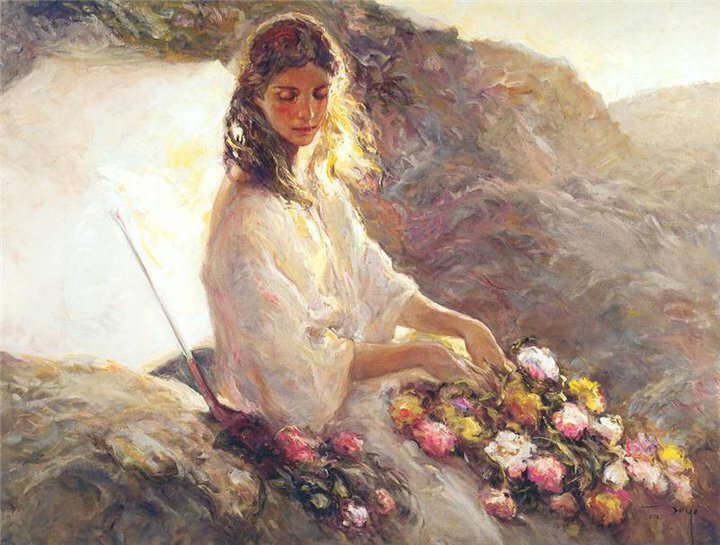 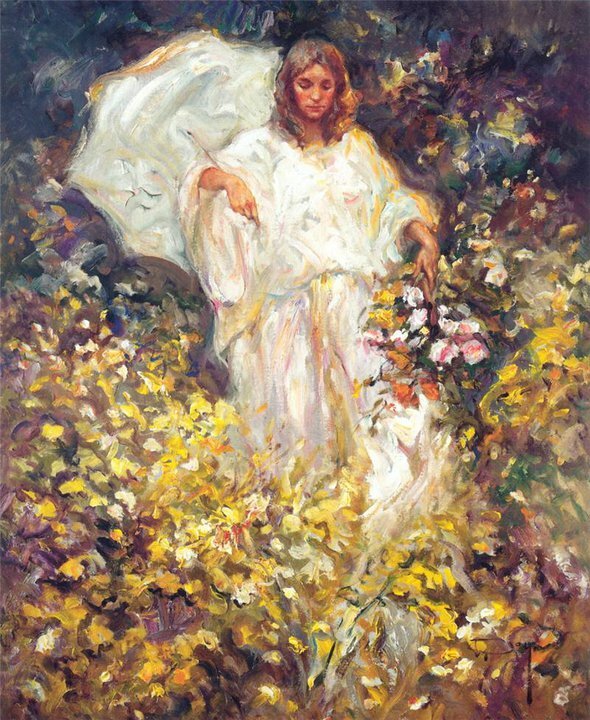 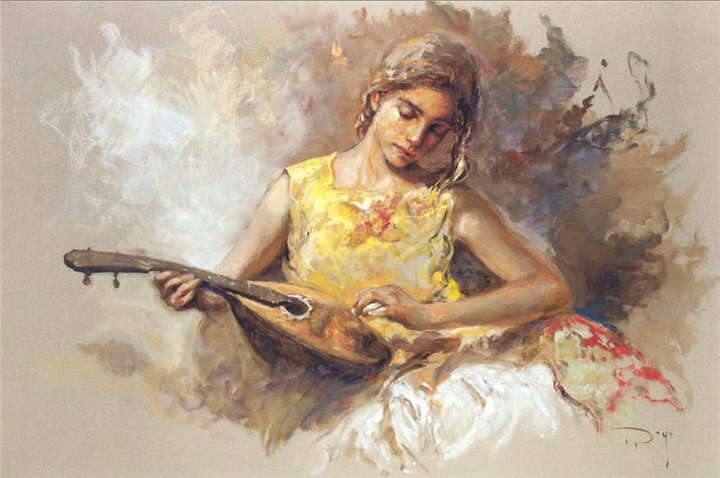 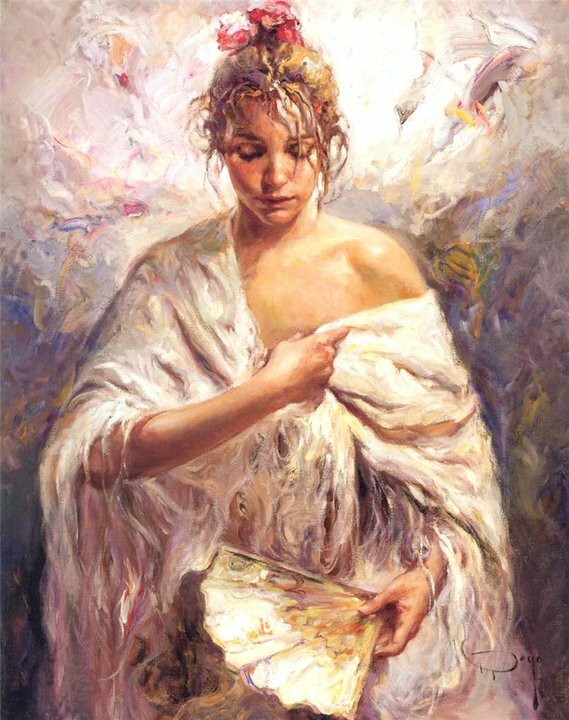 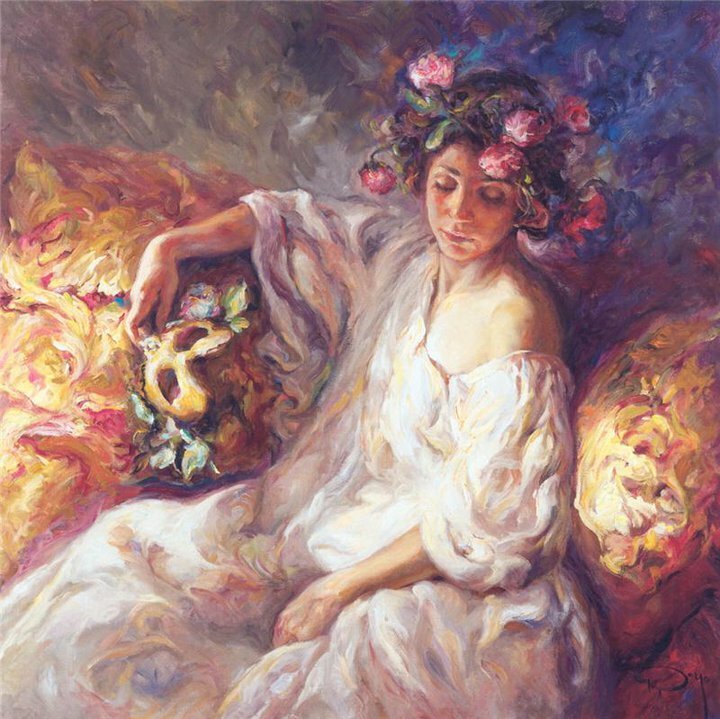 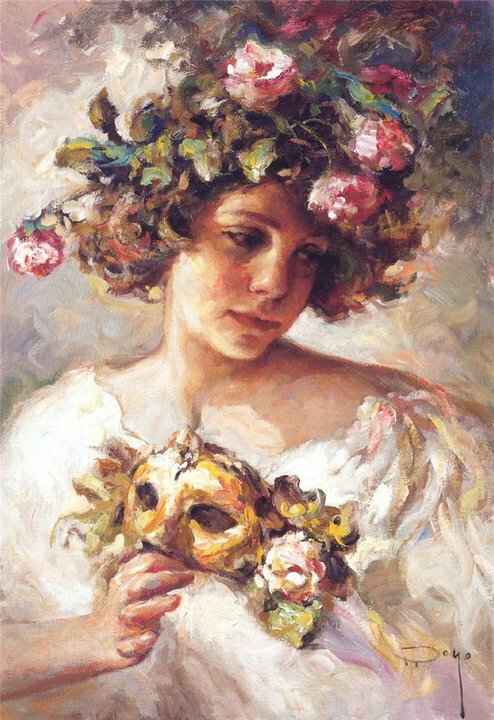 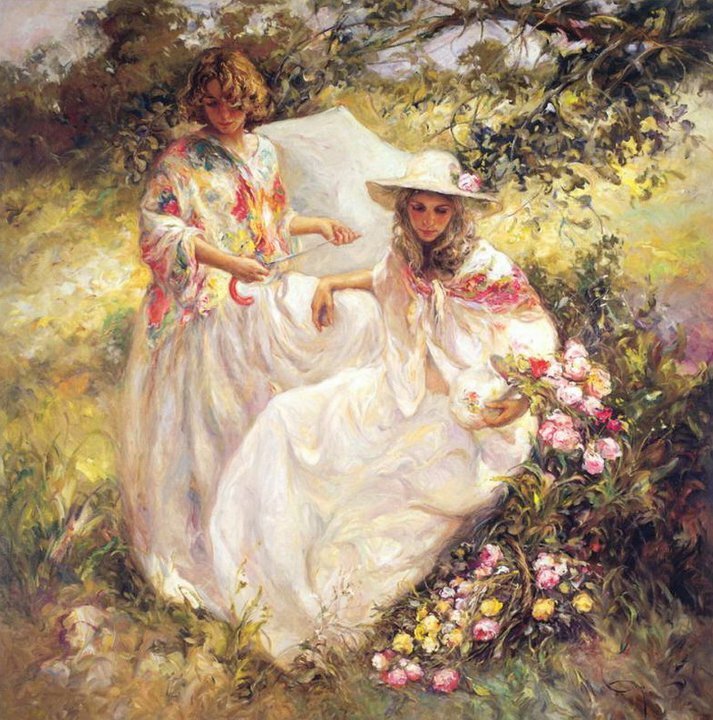 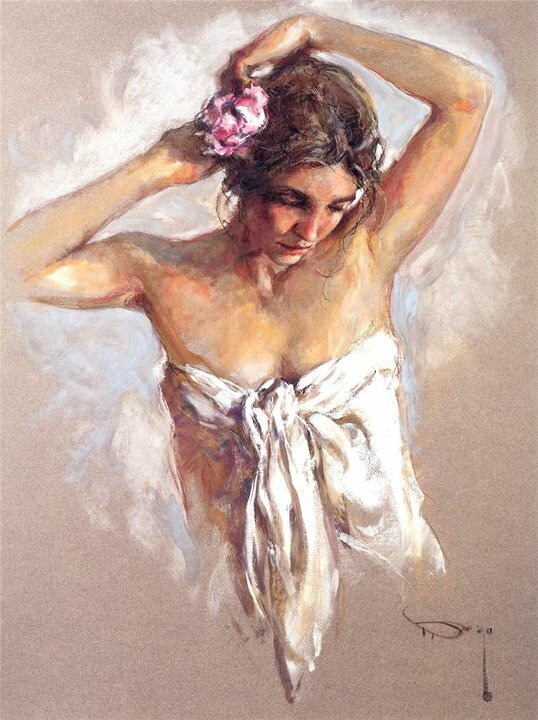 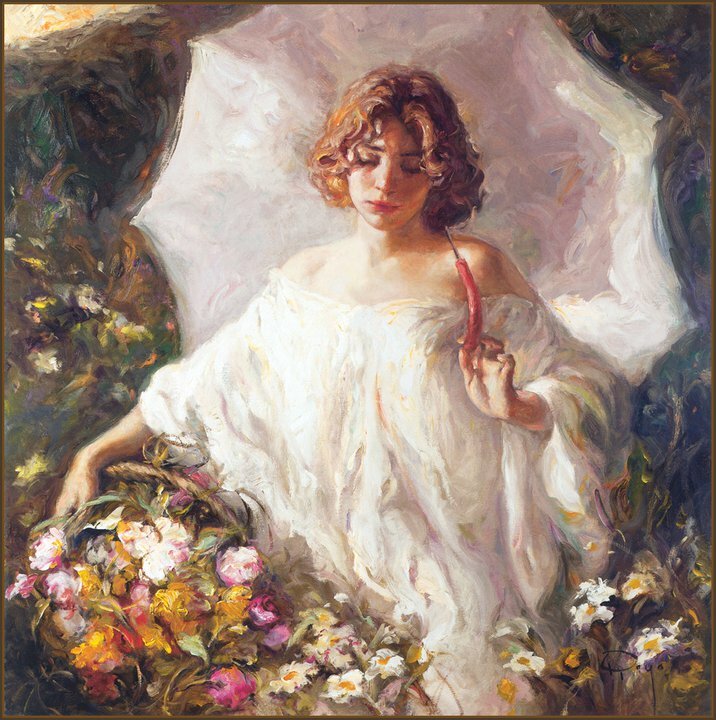 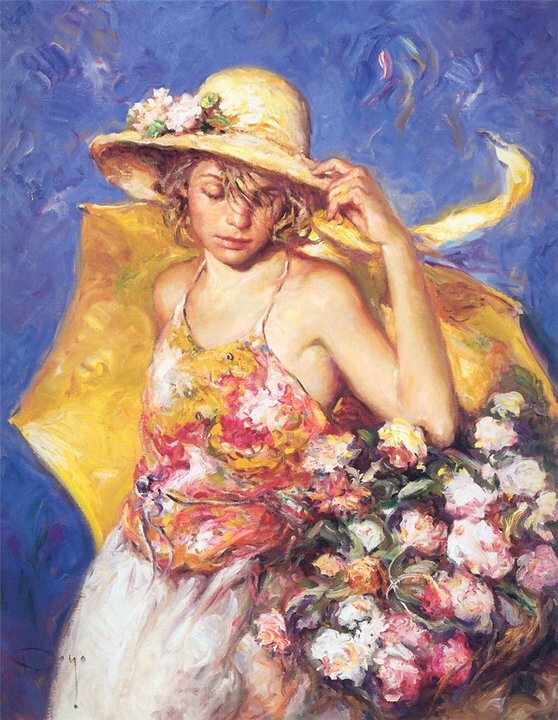 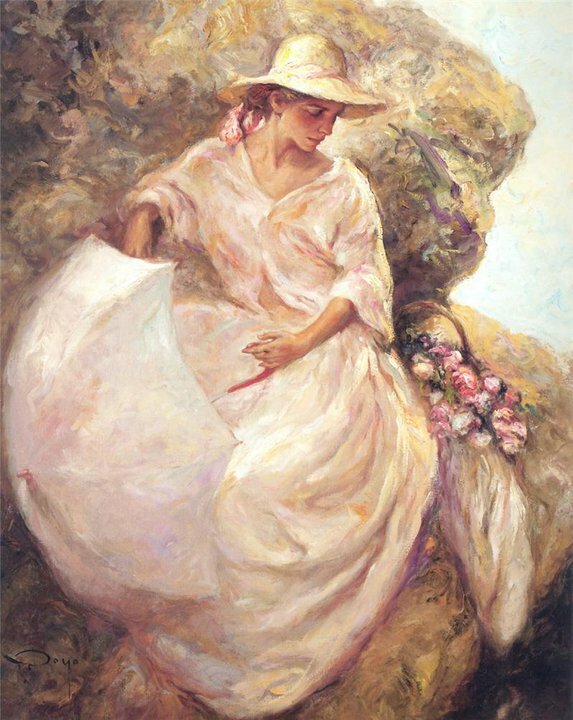 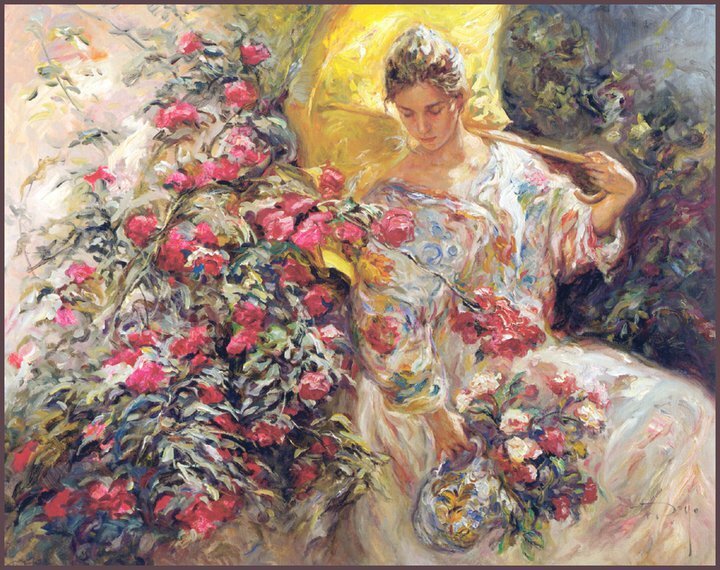 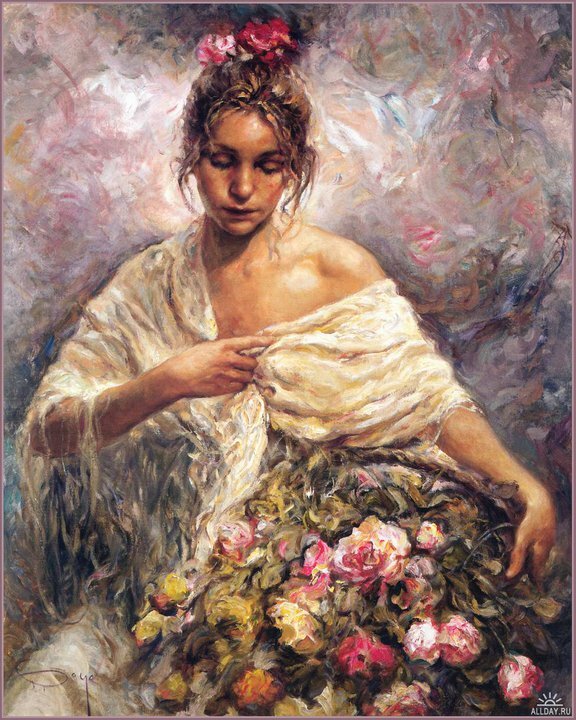 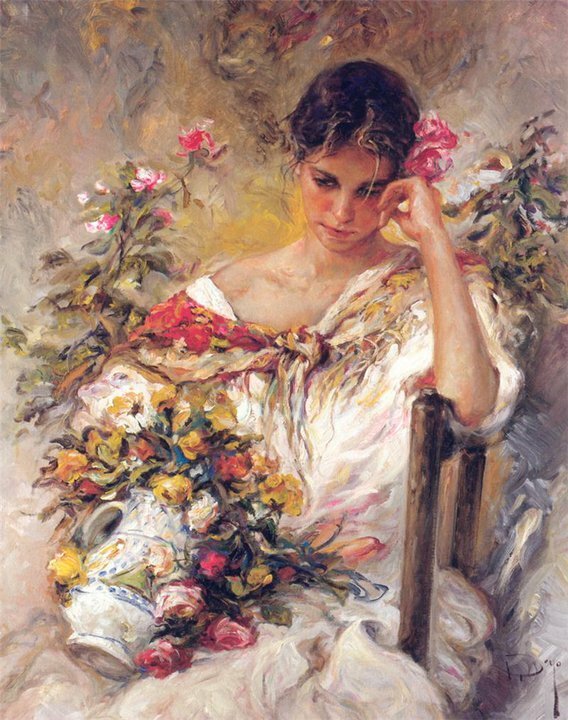 Born in Valencia, Jose Royo, Spanish painter, began demonstrating his artistic talent early. 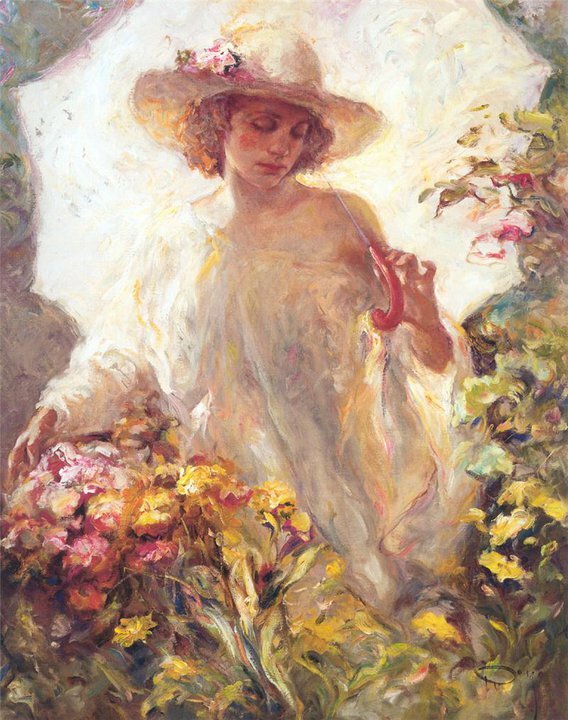 At the age of 9 his father, a prominent physician and avid art enthusiast, employed private tutors to instruct Royo in drawing, painting, and sculpture. 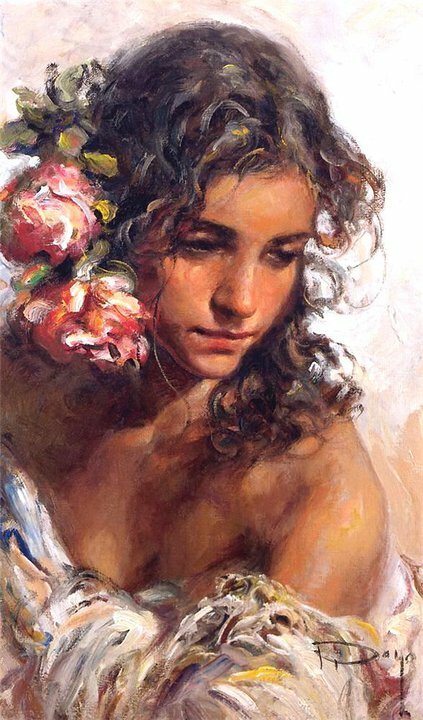 When Royo turned 14 he entered the San Carlos Royal Academy of Fine Arts in Valencia. 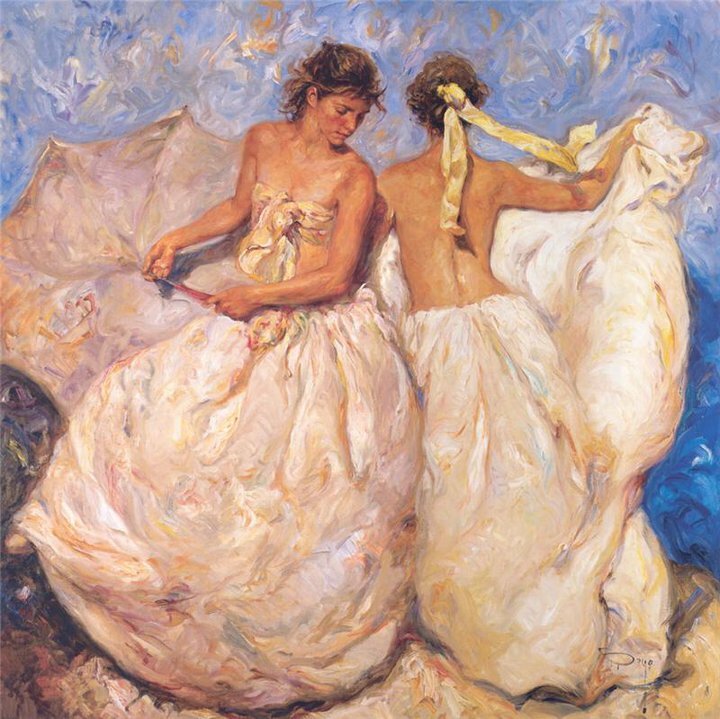 Upon turning 18 Royo continued his artistic studies privately with Aldolfo Ferrer Amblat, Chairman of Art Studies at the San Carlos Academy. 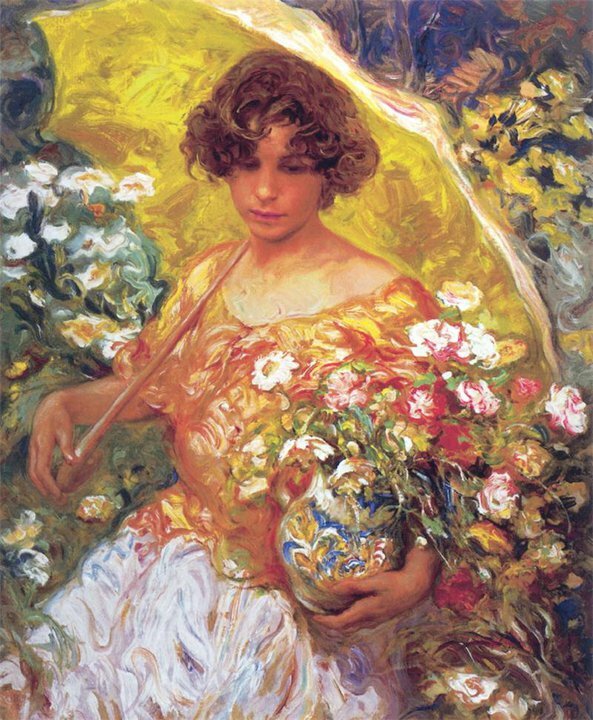 He also visited the major museums in Europe at this time to study the famous masters-Velasquez, Goya, Renoir, Monet and Sorolla among others. 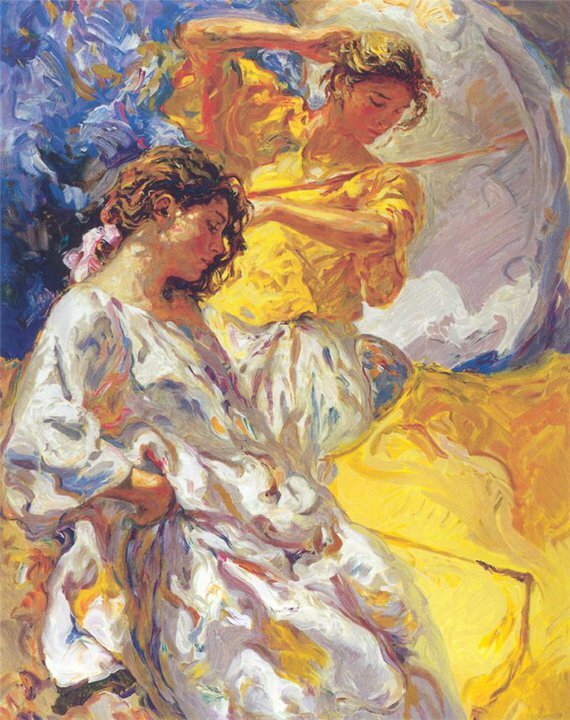 Impressive parallels can also be drawn between Royo's work and that of the Spanish master, Joaquin Sorolla. 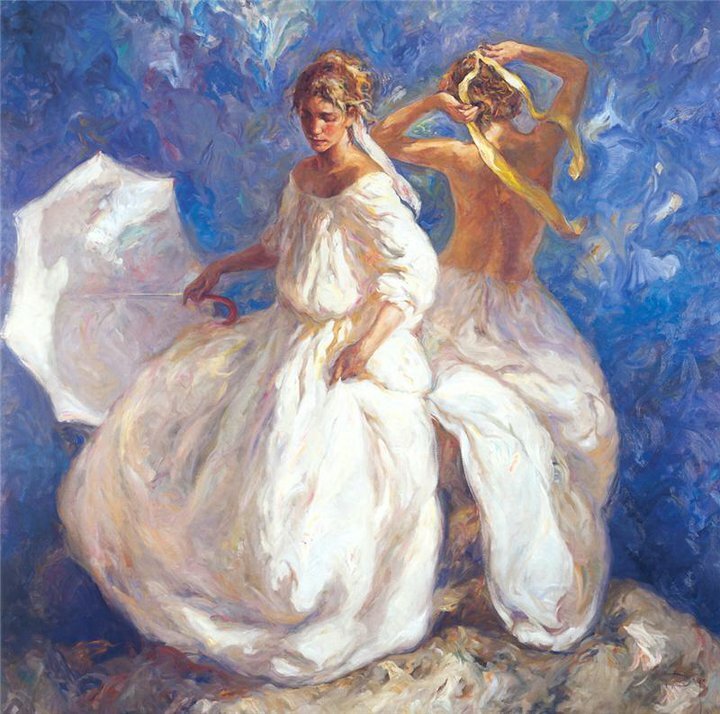 Both were born in Valencia, both were classically trained, both "matured" into styles of painting capturing the dramatic visual essence of their homeland-Valencia and the Mediterranean Sea. 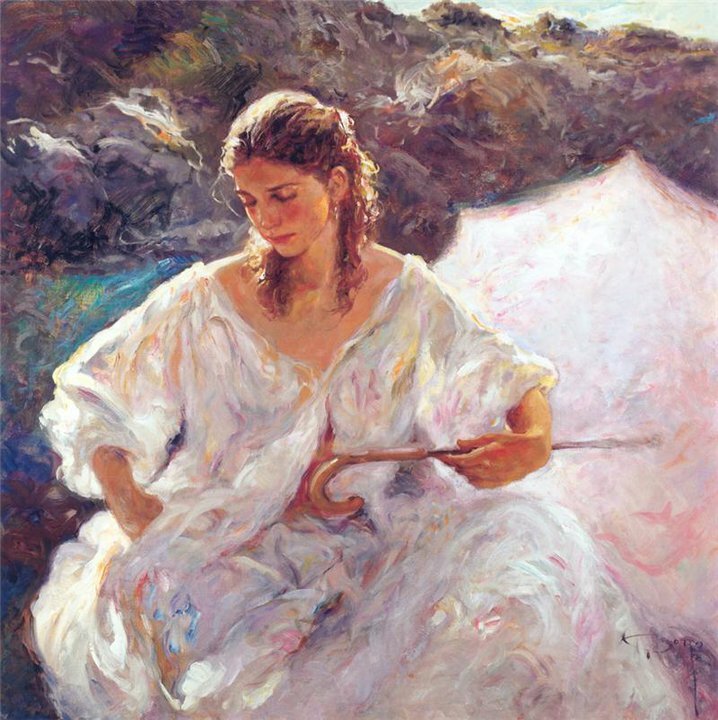 They have both been described as "painters of the Light"; some have said, "of the Light of the South," that is, the southern coast of Spain. 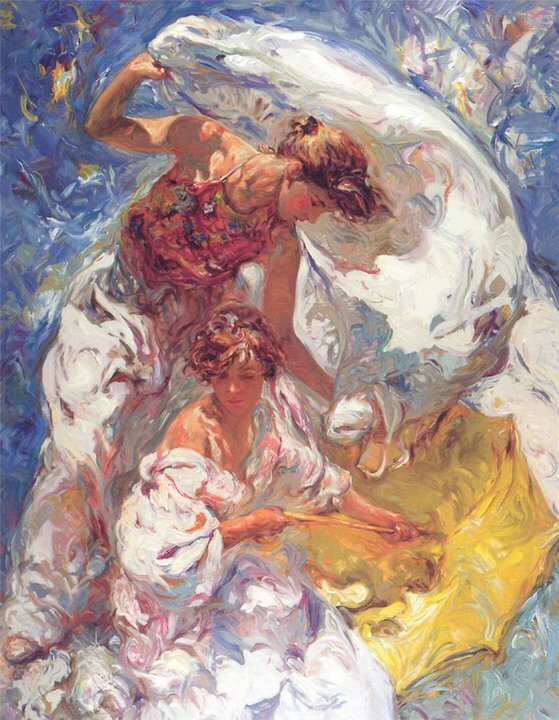 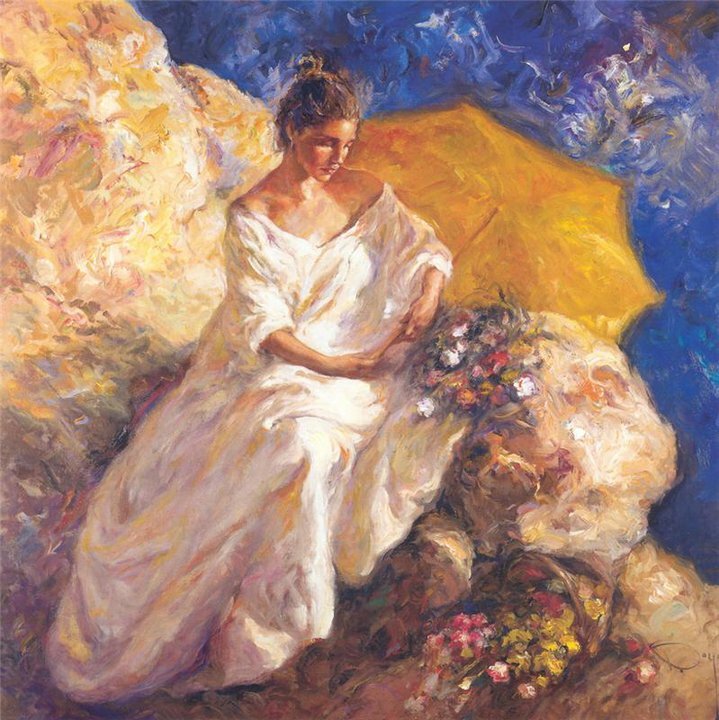 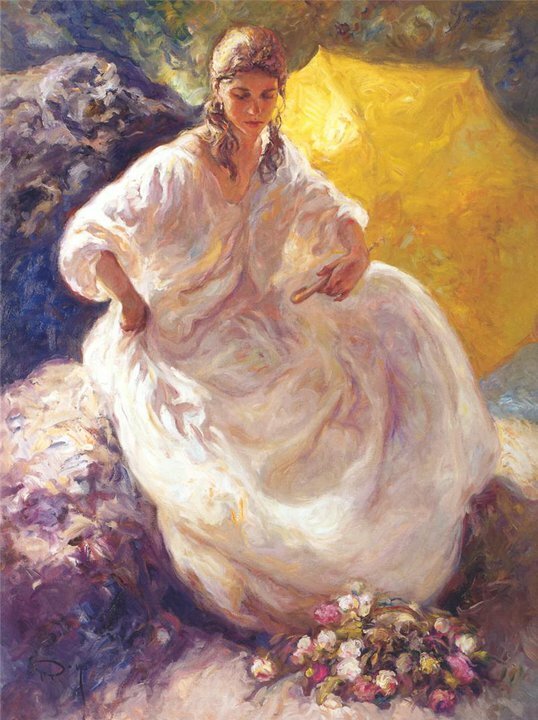 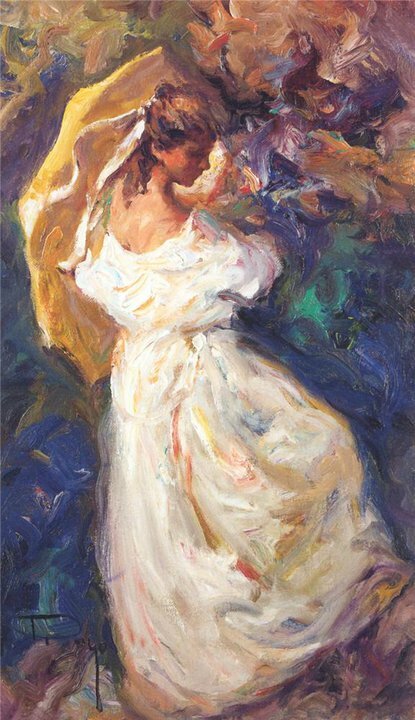 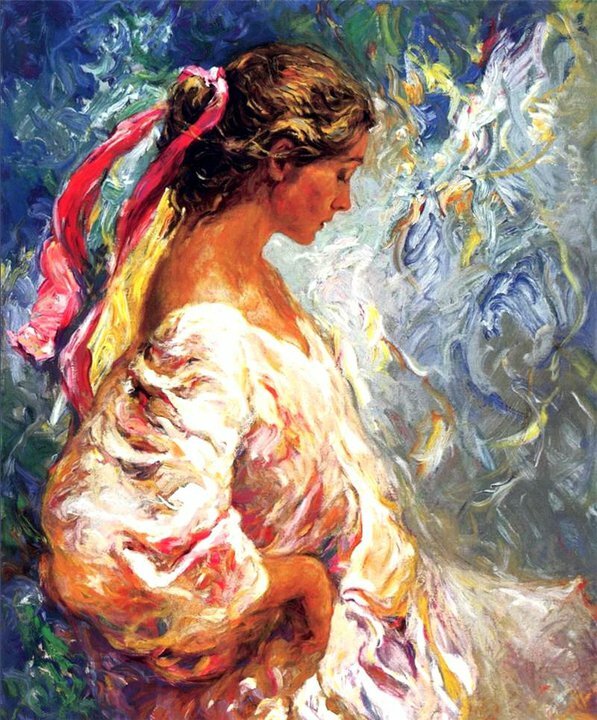 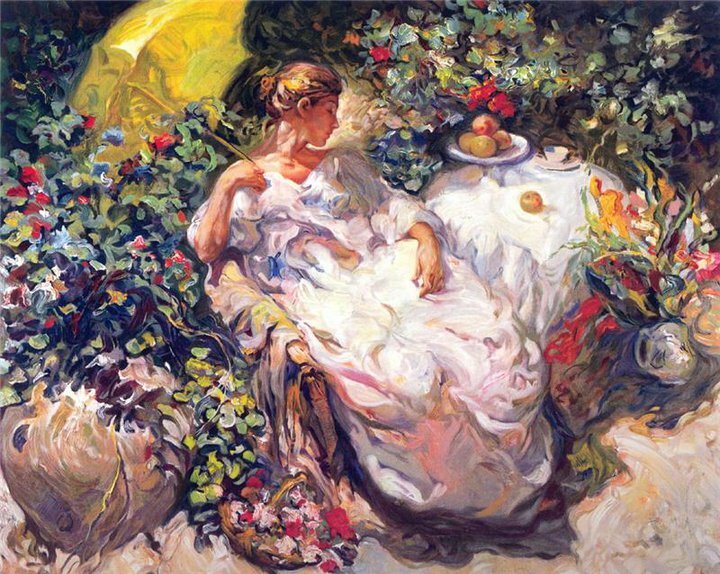 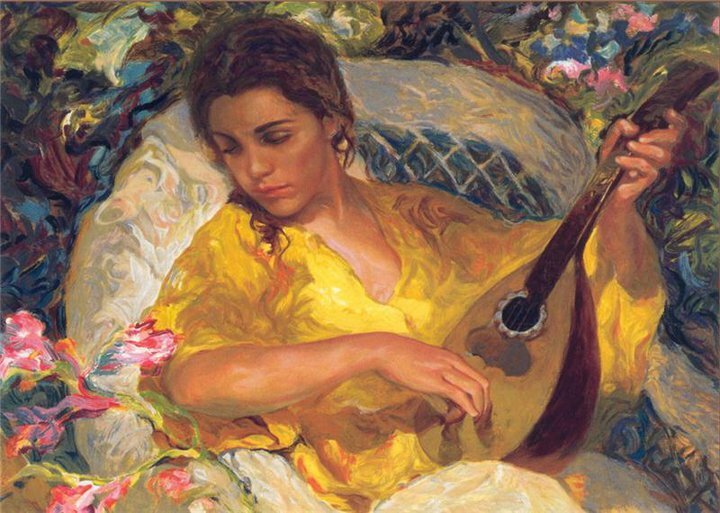 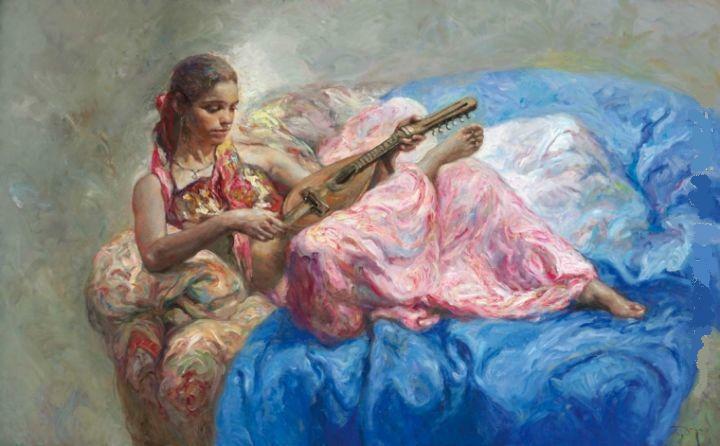 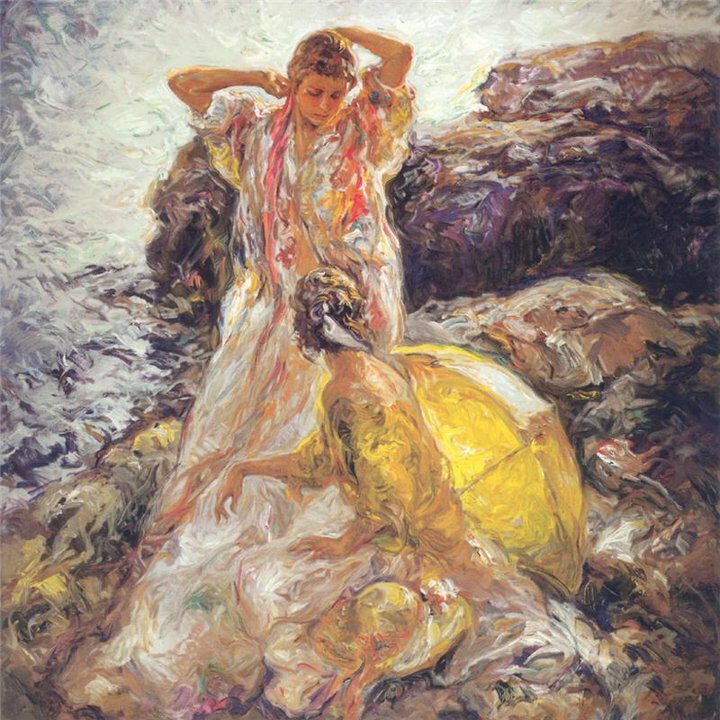 It is the overwhelming influence of Sorolla blended with his own style that make Royo's masterful treatment of the Mediterranean subjects both haunting and mysterious, yet full of raw power at the same time. 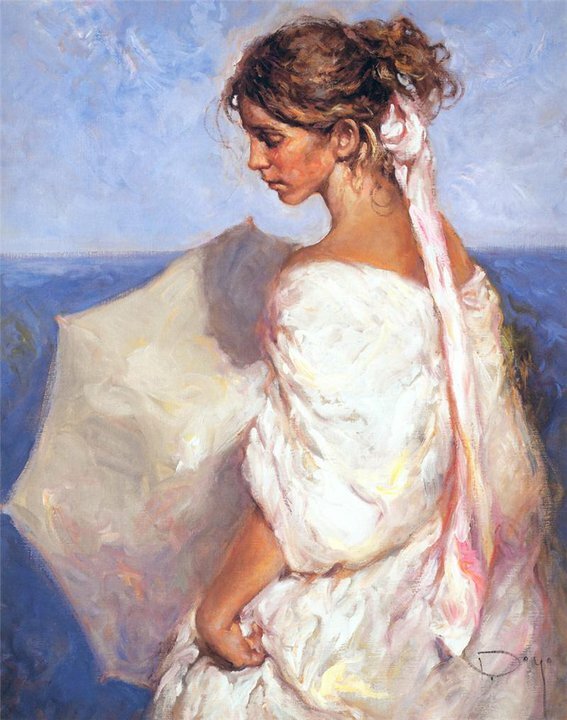 The sweeping brush strokes, bold swaths of color, and heavy impasto capture the eye and draws one inward until that final absolute moment of awareness that one is actually there in the scene feeling the light and heat of the sun, the salt and sea spray, and hearing the crashing surf. 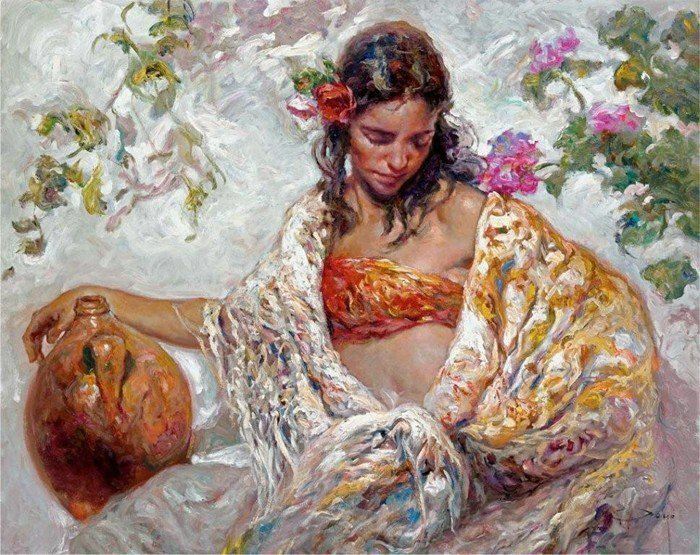 Royo conveys not merely image, but mood and atmosphere as well. 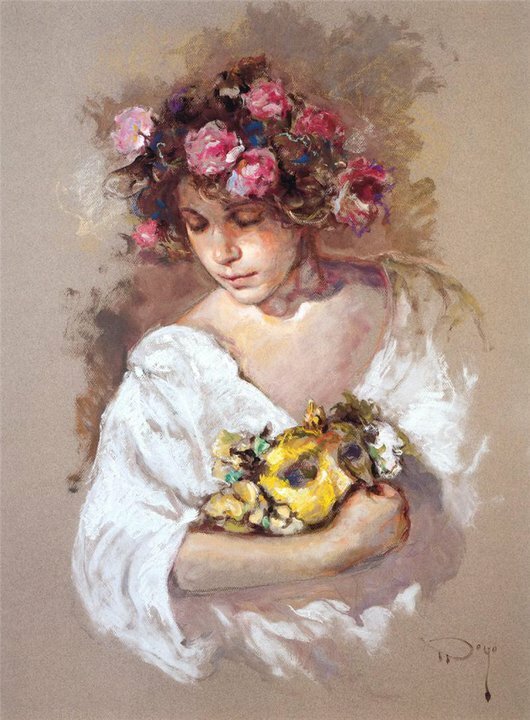 This is rare in today's art world, hence the connoisseur is compelled to compare with the old masters. 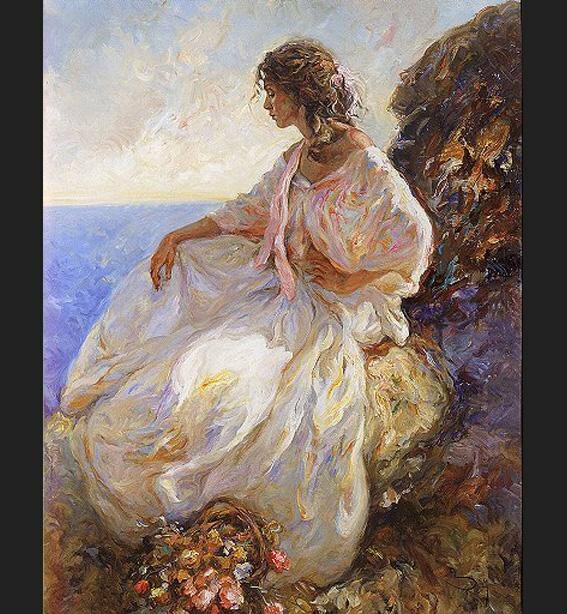 Thus, the appeal of Royo's work for today's collector becomes obvious. 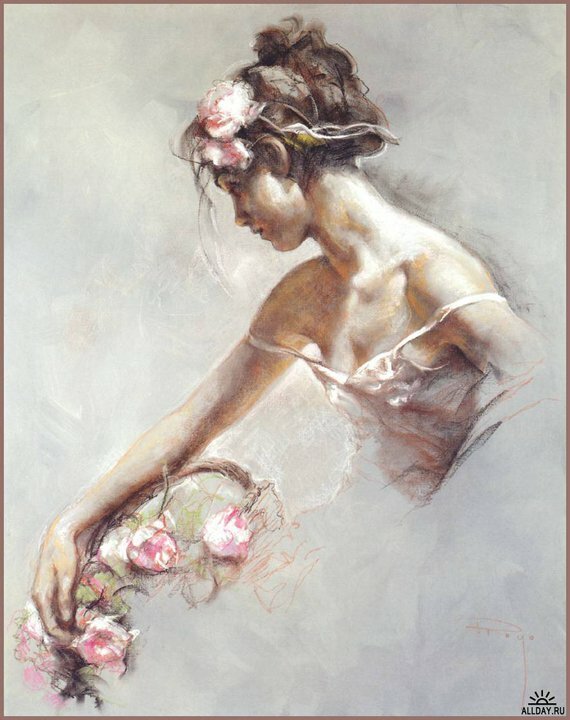 With pride we offer the art work of today's Spanish master painter, Royo, to the art connoisseurs of the world.